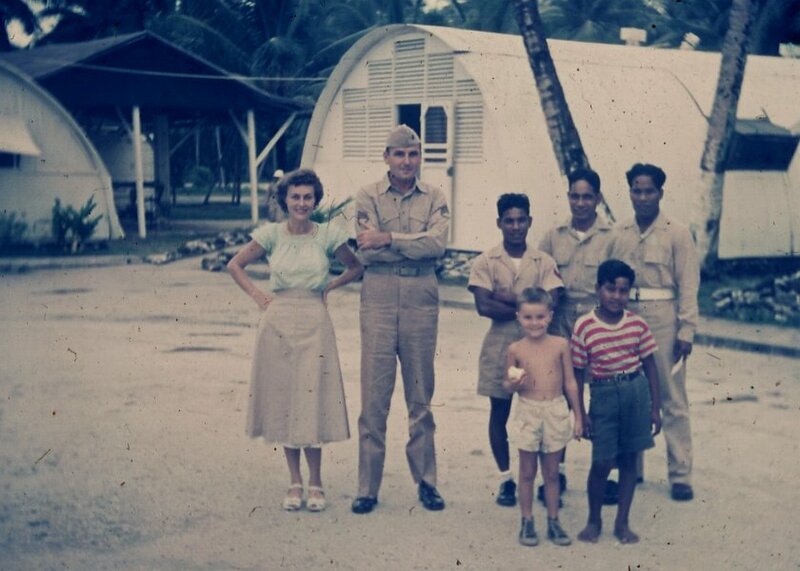 On Majuro: Sgt. Dudley, his wife and son. Plus 3 constabulary guards in uniform.